Yes, I know the rest of the country has moved on to cool weather celebrations... hay rides, bobbing for apples, and pumpkin pickin' are on my mind too. But, here in sunny Florida, early October is the time of year we finally, ever so cautiously, emerge from our air conditioned abodes. The 80+ degree weather makes it the perfect time for a pool party! I kicked Elle's 5th birthday off with beach ball invitations from Oriental Trading Co. Party details are written on the ball itself, the deflated beach ball goes in a water proof canister, labeled, and mailed. The guests were greated by a row of custom flip flop party favors (no more guessing allowed for the covered button giveaway). I'll tell you how to make these easy and inexpensive favors in a coming post. The highlight of the party was the snow cone machine! I rented the machine from a local party rental shop. I made the syrups (more on that to come), and picked up the cones, straws with scoops on the end, snow cone stands, and straw dispenser on Amazon. My Doug made this awesome snow cone sign by cutting a large piece of foam core (available in the framing department at Michael's) into the shape of a snow cone and spraying it with chalkboard spray paint. The chalk markers make it even more fun! The round cupcake picks, syrup labels, banner, "lanterns", & craft instructions are all goodies printed from the poolside collection by Paper and Cake All those fun details really pulled it all together! 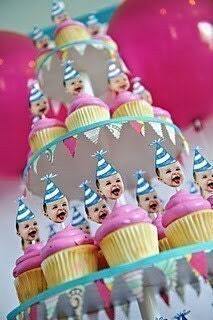 I just can't get enough of the custom photo cupcake picks! I made a cute set of my Elle holding her breath while wearing her swimming goggles. In addition to snow cones, pizza, and swimming, the kiddos entertained themselves with playing in the splash pool (I was surprised at how much fun even the kids who could swim in the big pool had just splashing around), diving and sliding on an inflatable slide I got from CSN Stores (review coming in a future post), and making a water yo-yo craft. Okay, so if you don't live in a climate that is finally just now allowing you to brave the outdoors, you can consider this pool party your last hurrah before we dive into the Fall celebrations (pun intended)! I so hate that we had to miss such a great celebration :( I am sure everyone enjoyed it so much. This one I'm positive you especially enjoyed doing - it was your way of having your little girl dream of a "Snoopy Snow Cone Machine" on a grander scale. Love your creativity & all the thought you put into the details (the girls will, too, when they look back over all their parties). Love you all! super cute! I love all the details and the snow cone setup! hugs! Kim @ Party Frosting! I just think that what you did was absolutely beautiful, inspiring, and innovative. We're trying to figure out how throw my girl friend a nice and affordable bachelorette party, and I think this would be a really great theme. My question is what did you use to maintain your pool to look like that? I found this great pool supplies store around my neighborhood, and I'm just wondering if you have any suggestions of any descent products. 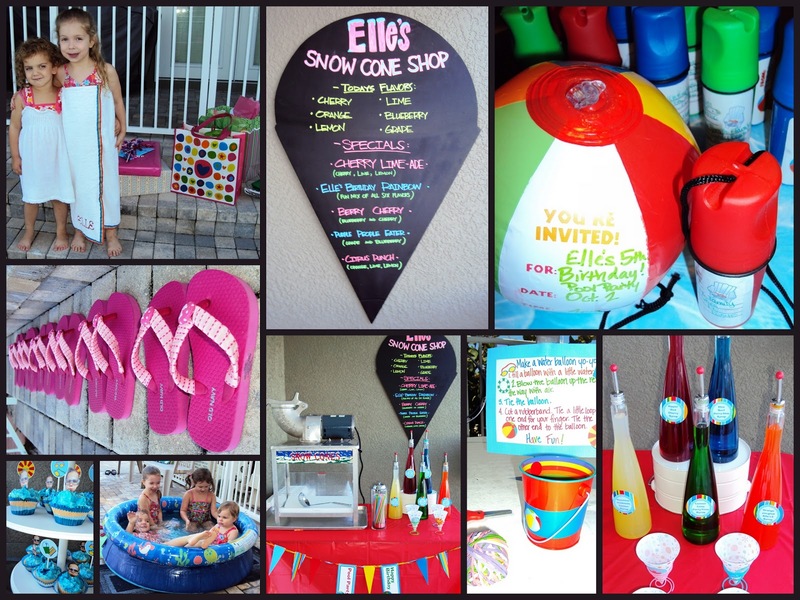 This party looks fun with the snow cones, beach ball, custom flip flops, and cup cakes. I bet they all had a great time! 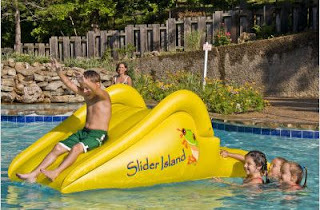 I'm planning to have a birthday pool party for my nephew on his next birthday.